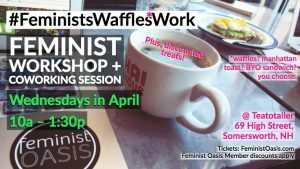 Join a community of feminist entrepreneurs, creatives, freelancers or people working on a project. All genders welcome! Wear your cozy clothes, BYOP (bring your own project) and chill with us!